By Marc Boucher on May 31, 2018 2:24 PM. 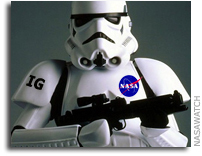 "NASA's extensive portfolio of science-, space-, and aeronautics-related activities presents the Office of Inspector General (OIG) with a wide variety of issues to examine. Two topics we paid special attention to this reporting period: information technology (IT) governance and NASA's efforts to resupply and fully utilize the International Space Station (ISS or Station)." Continue reading NASA OIG Releases Semiannual Report to Congress. By Keith Cowing on May 23, 2018 8:29 AM. Continue reading What Happens When A Camera Gets Too Close To A Launch. By Keith Cowing on May 22, 2018 1:40 PM. "The 'thrust' is not coming from the EmDrive, but from some electromagnetic interaction," the team reports in a proceeding for a recent conference on space propulsion. "The best part is that the results are the same when the attenuator is put into the circuit. In this case, there is basically no radiation in the microwave cavity, yet the WTF-thruster thrusts on." HBR: Since 2006 NASA has been in "the network model"
By Marc Boucher on April 23, 2018 1:32 PM. 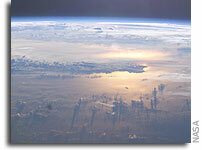 "NASA today is a very different beast from the NASA of the 1960s. Though many would call that decade NASA's golden age, we'd argue that NASA's innovation and influence is even greater today." "Since the Apollo program, NASA has faced funding cuts, competition from other nations for space leadership, and a radical restructuring of its operating environment due to the emergence of commercial space - all of which have forced the organization to change its ways of thinking and operating." By Keith Cowing on April 9, 2018 3:20 PM. 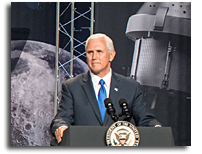 "From 2008 through June 2017, National Aeronautics and Space Administration (NASA) contractor and grantee employees submitted 48 reprisal complaints such as alleged firing or demotion for reporting fraud, waste, or abuse within the government. NASA's Inspector General addressed all 48 complaints, completed inv estigations for 6 of those complaints, and forwarded investigation reports to the NASA Administrator, who is responsible for making a final determination of whether reprisal occurred. The Administrator determined that none of the complaints qualified for protection under the law. Further, in 5 of the 6 cases forwarded by the OIG, the Administrator was required by statute to make a final determination of reprisal within 30 days. GAO found that the Administrator did not meet this required time frame for all 5 cases and had no documented response for one of them (see figure for all 5 cases). According to officials from NASA's Office of General Counsel, each case must be handled on a case by case basis to ensure due process and 30 days is insufficient time to is sue an order of final determination of reprisal. However, in order to ensure that whistleblower reprisal complaints are handled within required timeframes, NASA would have to monitor and evaluate its processes for making final determinations of reprisal, but it has not yet taken this step. Consequently, NASA does not know what changes may be needed to ensure that it is meeting the statutory 30- day requirement." By Keith Cowing on March 21, 2018 2:30 PM. "As you know, the current continuing resolution funding the government expires on March 23. While we hope it won't be necessary, we need to once again make preparations in the event an orderly shutdown is required and are updating our contingency plans. I share your frustration that we find ourselves here once again, but I also want to thank you for your continued hard work. You haven't missed a beat in executing all the functions of our agency." Keith's note: Meanwhile all government offices in the Washington, DC area (NASA HQ, GSFC) are closed due to several inches of snow. By Keith Cowing on January 22, 2018 7:08 PM. "Congress voted late Monday to reopen the government after a three-day shutdown, sending President Trump a short-term spending bill that passed after Senate Republican leaders pledged to act on immigration policy next month. The House joined the Senate in passing the bill to fund the government through Feb. 8, reauthorize the Children's Health Insurance Program and roll back several health-care taxes. It passed 81-18 in the Senate and 266-150 in the House." By Keith Cowing on July 20, 2017 6:27 PM. "NASA and Boeing are reviewing plans to safely replace an antenna on the Tracking and Data Relay Satellite (TDRS-M). The satellite's Omni S-band antenna was damaged during spacecraft closeout activities July 14 at Astrotech Space Operations in Titusville, Florida. The TDRS team is also evaluating a possible electrostatic discharge event involving spacecraft mechanical ground support equipment at the launch site." By Keith Cowing on July 16, 2017 12:22 AM. "NASA and Boeing are reviewing an incident that occurred during final spacecraft closeout activities on the Tracking Data Relay Satellite (TDRS-M) mission at Astrotech Space Operations in Titusville, Florida, on July 14, involving the Omni S-band antenna. 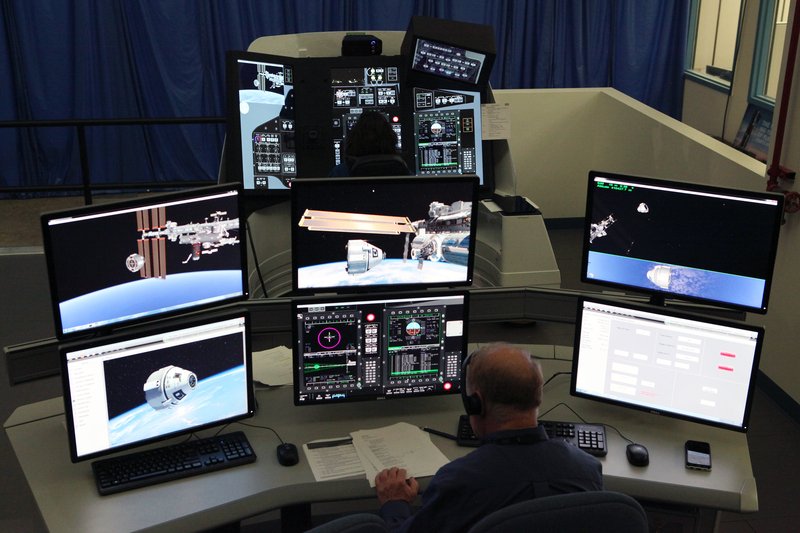 The mission team is developing a plan to assess flight acceptance and the schedule forward. These additional activities are under evaluation for a planned TDRS-M launch Aug. 3, 2017, on an Atlas V rocket from Cape Canaveral Air Force Station in Florida." By Keith Cowing on April 13, 2017 10:35 PM. "A 75-year-old woman who tried to sell a paperweight containing a speck of moon rock may try to hold a federal agent liable for detaining her for two hours in a public parking lot in urine-soaked pants, a federal appeals court decided unanimously Thursday. The U.S. 9th Circuit Court of Appeals said Joann Davis, the widow of an engineer who worked with NASA, was entitled to show that her detention was "unreasonably prolonged and unnecessarily degrading." The federal agent "organized a sting operation involving six armed officers to forcibly seize a Lucite paperweight containing a moon rock the size of a rice grain from an elderly grandmother," Chief 9th Circuit Judge Sidney R. Thomas wrote for a three-judge panel." "9th Cir. No. 15-55671 Consuelo B. Marshall, District Judge, Presiding Before: Sidney R. Thomas, Chief Judge, and Andrew J. Kleinfeld and Jacqueline H. Nguyen, Circuit Judges. : Government agent not entitled to qualified immunity for "prolonged and degrading" detention of elderly woman in parking lot (Thomas, J.)" By Keith Cowing on October 7, 2016 11:03 AM. "9:45 a.m. EDT - Hurricane Matthew has now passed offshore from Cape Canaveral and is north of Kennedy Space Center. The wind is starting to decline but remains near tropical storm strength. However, until the wind is consistently below 50 knots a crew cannot be sent outside to begin a more thorough look at KSC. That is expected sometime this afternoon. At this time there is observed to be limited roof damage to KSC facilities, water and electrical utilities services have been disrupted and there is scattered debris. Storm surge has been observed to be relatively minimal, limited to localized portions of the space center. The Damage Assessment and Recovery Team will be brought in for its formal assessment Saturday morning." Continue reading Hurricane Matthew Arrives at KSC (Update). By Keith Cowing on October 5, 2016 1:54 PM. "With the increased popularity and accessibility of expanded media platforms, the federal government's ability to publicize information has changed rapidly, but the total scope of federal public relations activities is largely unknown. A number of factors makes it difficult to quantify the resources the federal government devotes to public relations. These factors include the expanded use of web-based platforms, such as Facebook and Twitter, and the wide variety of activities that could be considered public relations, from publicizing health and safety bulletins to providing information on federal entitlements and benefits." Keith's note: If you look at Table 3 (page 16), in FY 2014 NASA had 110 public relations employees whose aggregate salaries were $11,446,000 whereas DoD had 2,213 PR employees and an aggregate salaries of $176,644,000. If you look at Table 2 (page 11) between FY 2006 and FY 2015 NASA spent (on average) $3,415,000 on Advertising and public relations while DoD spent an average of $626,221,000. Of course, per Congressional legislation, NASA does not "advertise", right? By Keith Cowing on October 5, 2016 11:22 AM. "Ars reached out to Kennedy Space Center's Amber Philman on Tuesday afternoon, and she said the center is currently at HURCON III status, which means officials there expect sustained 50 knot winds within 72 hours. Hurricane preparations and facility securing will begin Wednesday morning, she said. Other tenants are also closely watching the storm." We are closing at 1 p.m. EDT on Wednesday, Oct. 5, due to Hurricane Matthew. The center will be closed on Thursday, Oct. 6 & Friday, Oct. 7. By Keith Cowing on September 26, 2016 11:15 AM. "Piedmont Office Realty Trust wants to shed one of the largest federally leased office properties in Greater Washington, NASA's Southwest Washington headquarters - another sign that investment sales activity is gaining momentum heading into the fall buying season." By Marc Boucher on September 21, 2016 9:09 AM. "John "Jack" Garman, a NASA engineer whose knowledge of the computer aboard Apollo 11 saved the historic first lunar landing from a last-minute abort, died on Tuesday (Sept. 20). He was 72." "Garman's death came after a several year battle with bone marrow cancer, according to an email by his wife that was forwarded to the Johnson Space Center retiree community and then shared with collectSPACE." 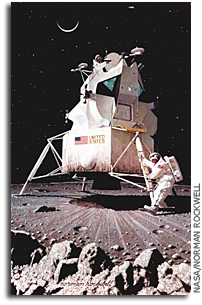 Americans who know a bit about the Apollo Space Program may recall that the first manned lunar landing - during the Apollo 11 mission - was a split-second away from being aborted. Twenty-six-year-old guidance officer Steve Bales was a key flight control team member who kept his cool while the onboard computer in the lunar module sent out a series of alarms. Continue reading Jack Garman one of the Wonder Boys of the Apollo 11 Flight Control Team Passes Away. By Keith Cowing on September 19, 2016 6:35 PM. Keith's note: I am heading off to the UK on Tuesday for the rest of the week - so Marc will be doing the bulk of the posting until next Monday. By Marc Boucher on February 16, 2016 12:15 PM. "Laporte also indicated he has had ongoing discussions with the new ISED minister, Navdeep Bains and that he will meet senior leadership at NASA next month to discuss future collaboration." By Keith Cowing on February 7, 2016 8:05 AM. "OFFUTT AIR FORCE BASE, Neb. - U.S. Strategic Command systems detected and tracked what we assess was a North Korean missile launch into space at 6:29 p.m. CST. The missile was tracked on a southerly launch over the Yellow Sea." "You can also expect the US and South Korea to attempt to recover the wreckage of the first and second stages of the rocket. In 2014, the UN Panel of Experts on North Korea documented many components of foreign origin." "The U.S. Strategic Command said it had detected a missile entering space, and South Korea's military said the rocket had put an object into orbit. North Korea said the launch of the satellite Kwangmyongsong-4, named after late leader Kim Jong Il, was a "complete success" and it was making a polar orbit of Earth every 94 minutes." "North Korea launched a satellite into space Sunday, its state media reported, triggering a wave of international condemnation and prompting the United States, South Korea and Japan to call for an emergency meeting of the U.N."
By Keith Cowing on January 13, 2016 8:26 AM. By Keith Cowing on January 7, 2016 11:57 PM. Keith's note: The issue of harassment - of all kinds - in all aspects of science - and elsewhere - is a pervasive, malignant issue that needs to be aggressively addressed - and eliminated - period. 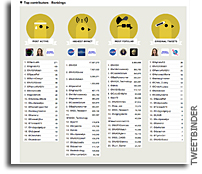 That said, how the space/astronomy community uses social media to address this issue needs a little more in the way of logic checks and community monitoring. 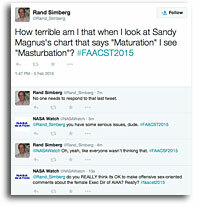 I came across this tweet from an American Astronomical Society meeting attendee. The usually vocal Twitter crowd at AAS has been amazingly silent with regard to this tweet. 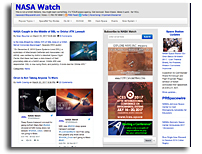 This is the very first time in the 19.95 years of NASAWatch that profanity has ever appeared on this site. I hope it is the last time. Its use is the sign of a lazy mind, if nothing else. But in this case, it is news. Hence, I post it. And now Marshall Perrin from the Space Telescope Science Institute agrees with Danny Barringer's comments from #aas227. Harassment is a problem that has many sympathizers - both passive and agressive. This is insidious, folks. And yes, there is a certain pot-kettle-black issue here on NASA Watch. I certainly push the envelope. But there is a clear line between commenting on someone's opinion - and commenting on the person - as a person. Using threatening, profane comments clearly crosses the line. What has been really astonishing is seeing the way that AAS members use Twitter to harass people - who raise issues about harassment. Eye opening. 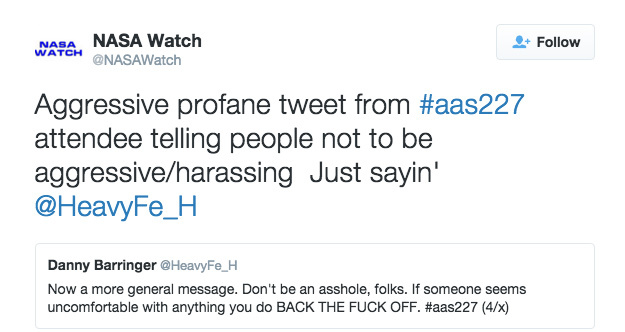 AAS needs to take a close look - at how they take a close look - at harassment. By Marc Boucher on December 14, 2015 11:04 AM. "As Britain's first European Space Agency astronaut prepares for his historic launch to the International Space Station (ISS) on 15 December, the Government is publishing the UK's first ever National Space Policy - firmly placing the UK on the global stage for future space programmes. With the UK aiming to become the European hub for commercial spaceflight and related space sector technologies, this new policy sets out the Government's vision to capture a greater share of the world's thriving space market. Working across the UK in partnership with the rapidly growing sector, this One Nation policy will see ensure the UK seizes opportunities to deliver new business opportunities, create jobs and push the boundaries of our understanding of space." Is Positive Change Coming to Canada's Space Program? By Marc Boucher on September 16, 2015 10:05 AM. Marc's note: It's election season north of the border with Canada heading to the polls to elect a new federal government on Monday, October 19th. Rarely does space enter the election picture. This year is different. In the last week one news story with national reach and an editorial have put space on the election map. The Canadian Space Commerce Association, of which I'm the Executive Director, issued a press release two days after the election was called calling on all federal parties to commit to a long-term space plan to be completed by the end of 2016 with input from all stakeholders. The three main parties who have a chance to form the next government were contacted along with the media. The Canadian Press (Canada's equivalent to the AP) picked up on the story. The good news is that the Liberals and New Democratic Party (NDP) have both committed to a long-term space plan. The ruling Conservatives had no comment. Here's the first story. The other news item is an editorial which appeared in yesterday's Ottawa Citizen from David Emerson who led a government mandated independent national review of the aerospace sector in 2012. Emerson is highly respected and a former government Cabinet Minister. "The next, most critical stage will be a concrete plan for long-term investments in space infrastructure. Such a plan would include commitments to space investment priorities reflecting the needs of Canada, the operational objectives of government departments and agencies, and Canada's industrial capabilities." The election result will determine which direction Canada heads. If the current Conservative government is re-elected the current course will be maintained which may not be a positive sign. If either of the opposition parties win, then positive change should happen. By Keith Cowing on September 8, 2015 8:29 AM. "Breakfast will be served at 8:30 a.m. with remarks followed by a question-and-answer session at 9 a.m. The event ends at 10:00 a.m. Tickets cost $23 for Press Club members (NPC Members may purchase 2 tickets at this rate) and $37 for all other non-member tickets." 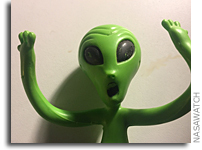 Keith's note: Funny thing about this National Press Club event - news media have to actually pay to cover the events with NASA employees participating - even if they do not eat the rubbery, over-salted food. In addition, the National Press Club refuses to credential online space media for events that they do not charge for. I have been waiting for years for them to get back to me to explain exactly how I certify who I am and what I do. Here in Washington DC, people who show up at events with self-created media credentials end up talking to security/police in this post 9-11 world. But guess what: I'd have to self-credential myself since I am my own editor. NASA gave up on issuing media badges years ago. The release says "To submit a question in advance, put SPACETALK in the subject line and email to president@press.org before 10 a.m. on Friday, Sept. 11.". Yea like it will get asked. Truth be known these events are more like exclusive old boy network entertainment than "news". The questions that actually get asked by the NPC gatekeeper are so vapid and soft-ball as to not be worth the bother of answering - or covering. By Marc Boucher on July 20, 2015 6:52 AM. "Joined by an all-star cast of scientists that included Stephen Hawking, Martin Rees, Frank Drake, Geoff Marcy and Ann Druyan, Russian billionaire Yuri Milner announced that he was personally funding a series of new initiatives to kickstart the search for life in the universe called Breakthrough Initiatives." "The first of two initiatives announced today, Breakthrough Listen, will be the most powerful, comprehensive and intensive scientific search ever undertaken for signs of intelligent life beyond Earth. The second, Breakthrough Message, will fund an international competition to generate messages representing humanity and planet Earth, which might one day be sent to other civilizations." Marc's note: $100 million over 10 years is a significant investment in SETI and includes an all-star team. One member of the all-star team mentioned above is former NASA Ames Director Pete Worden as the Chairman of the Breakthrough Prize Foundation. Continue reading Announcing the Milner Hawking Global Science Initiative. 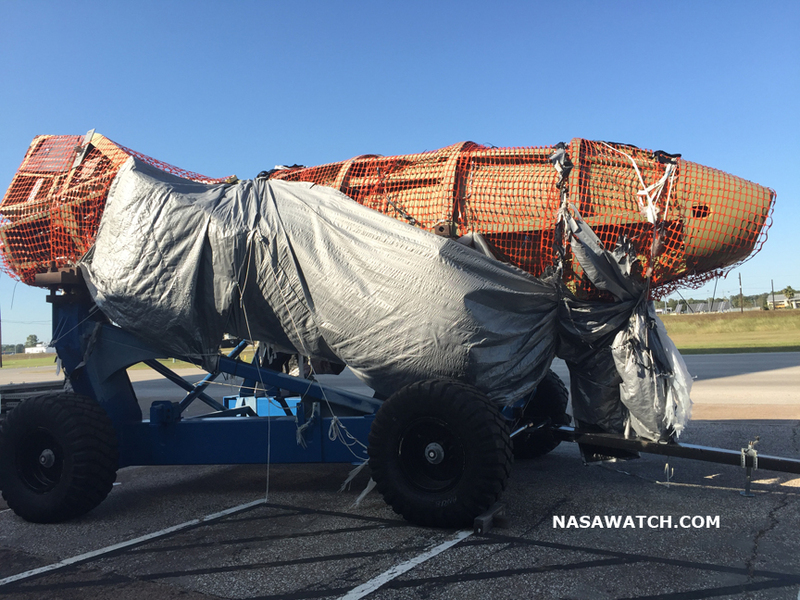 KSC Stages Fake Movie Star Photo Op for "The Martian"
By Keith Cowing on June 10, 2015 3:40 PM. "By special request from the film producers of the upcoming major motion picture "The Martian," NASA and Kennedy Space Center employees have been invited to participate in a group photo session on Thursday, June 11, at 7:30 a.m. This opportunity will take place at the KSC Visitor Complex Rocket Garden and should last no longer than one hour. The first 200 people to show up will be included in the photo. Be advised that the photo will be altered so that 10-15 faces will be superimposed by actual cast members from the movie." Keith's note: It is rather odd for NASA KSC to invite people to a photo shoot with movie stars who will not be there and then be told that 10-15 of the people who show up will be replaced by the movie stars - who are not there. And then the photo will presumably be used to show how people who never actually met the movie star worked with those movie stars. By Keith Cowing on May 18, 2015 9:16 PM. "Over the past year, the Office of Inspector General has raised concerns about the sustainability of NASA's varied missions given that the Agency's "top-line" funding level is likely to remain relatively flat for at least the next several years. Accordingly, we believe the principal challenge facing NASA leaders is to effectively manage the Agency's varied programs in an uncertain budget environment." By Keith Cowing on May 15, 2015 11:18 AM. "We concluded that although NASA complied with IPIA, it can improve its risk assessment process, payment recapture audits, and annual reporting. According to the Office of Management and Budget (OMB), which issues implementing guidance for IPIA, an agency must meet six criteria to comply with the Act, including conducting a program-specific risk assessment for each program or activity and publishing and posting on its website an AFR each year. NASA met all applicable OMB criteria for FY 2014. However, as discussed in our previous IPIA reports, we continue to believe NASA can improve its risk assessment process to increase the likelihood of identifying improper payments." By Marc Boucher on January 27, 2015 11:53 AM. "A combination of the day-night band and high resolution infrared imagery from the Suomi NPP satellite shows the historic blizzard near peak intensity as it moves over the New York through Boston Metropolitan areas at 06:45Z (1:45 am EST) on January 27, 2015. The night time lights of the region are blurred by the high cloud tops associated with the most intense parts of the storm." By Keith Cowing on December 29, 2014 9:29 PM. By Marc Boucher on December 23, 2014 7:00 PM. "Russia today successfully launched the Angara 5 rocket on its first test flight. The rocket carried a dummy payload. The Angara 5 flew with five first stage cores strapped together and a Breeze M upper stage. The Angara 5 is meant to replace Russia's heavy-lift Proton rocket and would become the workhorse of the Russian fleet tasked with primarily launching military payloads. A future super heavy-lift Angara 7 is also planned, if needed." "The Angara launch is a proper response to the Western sanctions and confirmation of Russia's ability to make new achievements, Russian Deputy Prime Minister Dmitry Rogozin said." "Russia successfully carried out the first test launch of a newest heavy-class Angara A5 rocket on Tuesday. The rocket was launched at Plesetsk cosmodrome in Russia's northern Arkhangelsk region at 08:57 a.m. Moscow Time (0557 GMT), according to the Defense Ministry press service." By Marc Boucher on December 23, 2014 12:38 PM. "In 2014, NASA took significant steps on the agency's journey to Mars -- testing cutting-edge technologies and making scientific discoveries while studying our changing Earth and the infinite universe as the agency made progress on the next generation of air travel." "We continued to make great progress on our journey to Mars this year, awarding contracts to American companies who will return human space flight launches to U.S. soil, advancing space technology development; and successfully completing the first flight of Orion, the next deep space spacecraft in which our astronauts will travel," said NASA Administrator Charles Bolden. "We moved forward on our work to create quieter, greener airplanes and develop technologies to make air travel more efficient; and we advanced our study of our changing home planet, Earth, while increasing our understanding of others in our solar system and beyond." Marc's Note: The press release includes a video whereby astronaut Reid Wiseman explains why he uses social media and its importance. By Keith Cowing on December 16, 2014 8:10 PM. 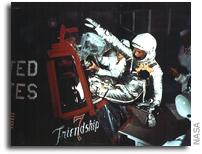 Keith's noteThe NASA Advisory Committee is meeting 14-15 January 2015 at NASA Stennis. NASA staff have managed to find a unique way to format Federal Register notices so as to be all but useless. No one proof reads these things any more. By Keith Cowing on October 11, 2014 4:37 PM. "Several labs have blown up studying LENR and windows have melted," according to Dennis Bushnell, Langley's chief scientist, in an article he wrote for NASA's Future Innovation website. This, he wrote, indicates that "when the conditions are 'right' prodigious amounts of energy can be produced and released." But it's also an argument for the approach that the Langley researchers favor: master the theory first." 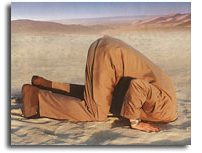 Keith's note: Looks like Bob Silberg at JPL fell for the Cold Fusion story - using only LaRC web postings as a source. LaRC even took down the links that Silberg cited. This post has been sitting online at NASA for more than a year and no one noticed. By Marc Boucher on September 30, 2014 8:05 AM. "Delegates from around the world were treated to Canadiana during the opening ceremonies of the 65th International Astronautical Congress in Toronto. 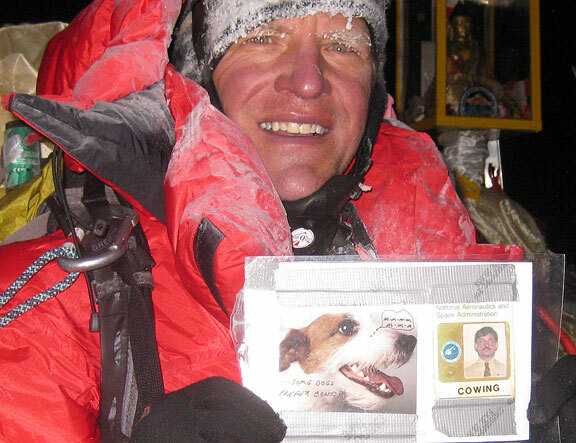 Highlights included a love story on ice, a cross country taste of Canadian music including fiddlers from Nova Scotia and First Nations from British Columbia and of course an appearance by former Canadian astronaut Chris Hadfield who galvanized the world with his social media presence during his stay aboard the International Space Station." By Keith Cowing on July 16, 2014 11:11 AM. "However, it is important to know that such an "open data" policy is not the norm for most ESA and NASA missions. Data from the Hubble Space Telescope, the Chandra X-Ray observatory, the MESSENGER mission to Mercury, or for that matter, the NASA Mars orbiters, are all subject to a so-called "proprietary period", as are the data from ESA's Mars Express, XMM-Newton, and Rosetta, for example. This period, typically 6-12 months, gives exclusive access to the data to the scientists who built the instruments or to scientists who made a winning proposal to make certain observations. In ESA's case, the length of the period is decided by our Member States when a mission is selected, although in some cases, the period is made shorter when a mission has been in operation for some time." By Keith Cowing on July 15, 2014 8:31 PM. "Before reviving a zombie spacecraft, Dennis Wingo and Keith Cowing traveled to the past to rescue a trove of early moon photographs that otherwise would have been destined for oblivion. They did not actually time travel, but that might have been easier. 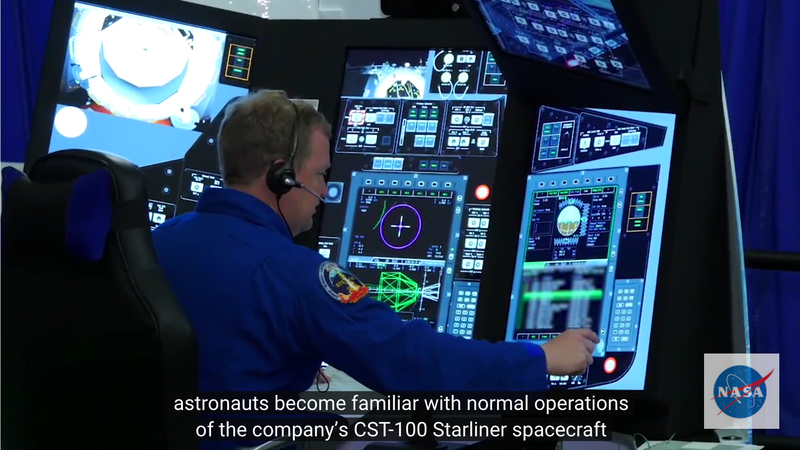 Mr. Wingo, an entrepreneur and an engineer, and Mr. Cowing, the editor in chief of the NASA Watch website, had confidence that they could decipher decades-obsolete NASA equipment, because, as Mr. Cowing said, "we've done this before." ... The earlier project involved 1,500 magnetic tapes and a couple of old, broken tape drives. In 1966 and 1967, NASA sent five robotic spacecraft, the Lunar Orbiters, to photograph the moon's surface to help find safe landing sites for the Apollo astronauts. 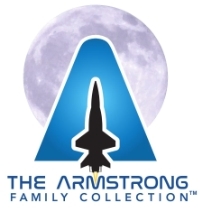 The tapes, which recorded the original high-resolution images, and the tape drives ended up in the garage of a former NASA employee, and Mr. Wingo and Mr. Cowing embarked on a quixotic mission to retrieve the images." By Keith Cowing on July 2, 2014 5:36 PM. 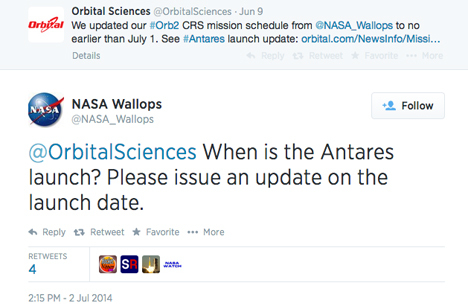 @OrbitalSciences When is the Antares launch? Please issue an update on the launch date. Keith's note: I have seen some lazy PAO staff but this one takes the cake. Are there any pros at Wallops PAO? How about picking up a telephone and calling Orbital? Keith's update: Earlier today I sent the original response out via @ISEE3 Reboot - obviously by mistake since I thought I was using @NASAWatch. My apologies. I was live tweeting while sitting in a hospital room with a familiy member in critical condition and did not click the correct button on a small computer screen. I made a mistake just like the NASA Wallops PAO team did. Keith's update: Someone deleted the tweet. This is what it looked like. By Marc Boucher on May 31, 2014 9:24 AM. 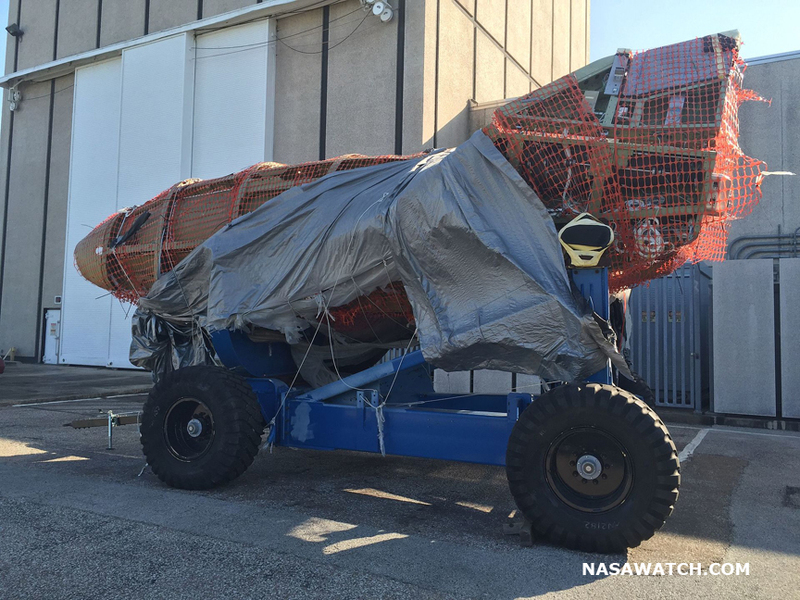 "The This Week At NASA crew is on a short mid-year hiatus -- but we thought we'd leave you with a quick look back at some of the big and exciting news featured so far in 2014 on This Week at NASA." Marc's note: Ok, we'll forgive them for issuing a mid-year report five months into the year. Just take it for what it is, a condensed look back at the first five months highlights in five minutes. Enjoy! By Keith Cowing on May 27, 2014 10:36 AM. "Using their Near-Earth Object Wide-field Infrared Survey Explorer (NEOWISE), the 10-mile wide object was found approximately 51 million miles from Earth. Scientists believe that during a close encounter with Mars, the asteroid was nudged slightly off its usual orbit and may currently be on a high speed collision course with our fragile planet. 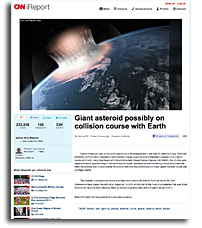 The asteroid is calculated to have a potentially lethal encounter with the Earth on March 35, 2041. Astronomers have placed the odds of an impact at 1 in 2.04, which is by far the most unprecedented risk ever faced to humanity, let alone from asteroids. Such an impact could potentially end civilization as we know it." Keith's update: This news story was removed after being online for nearly 24 hours. 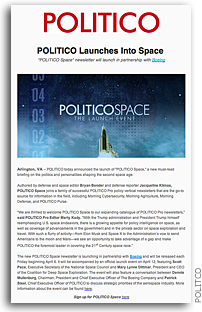 "I emailed Keith Cowing to find if there was any NASA announcement that might have been misinterpreted or distorted. It looks more like a prank that was way too easy to pull off. "As for what happened: (my guess) long weekend combined with lax review standards," he said. The post is pretty cleverly written. Marcus575 put some thought into making it read like a real news story. And like most hoaxes, there's a lesson in it. CNN has not responded to a request for comment. The Tracker would also welcome comments from Marcus575." Oops now the link says this: "CNN PRODUCER NOTE NASA has confirmed via email that this story is false. A spokewoman for the Jet Propulsion Laboratory says that the largest object detected by NEOWISE measures 3 km in diameter and poses no risk to Earth. The iReport has been removed. 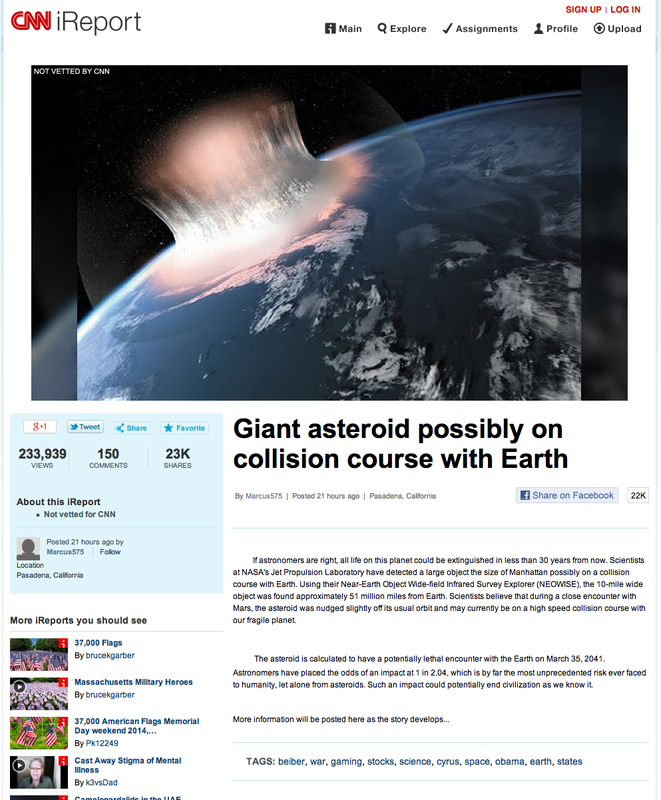 - davidw, CNN iReport producer"
- Wait, So There's Not a Giant Asteroid Hurling Toward Us After All? By Keith Cowing on May 6, 2014 8:37 AM. "While acknowledging these and other achievements, we believe that NASA will continue to be challenged to effectively manage its varied programs in the current budget and political environment. We agree with the observation made by the National Research Council in its 2012 report examining NASA's strategic direction and management that, in effect, too many programs are chasing too few dollars at NASA. Accordingly, we continue to view declining budgets and fiscal uncertainties as the most significant external challenges to NASA's ability to successfully move forward on its many projects and programs." Keith's note: NASA OIG dumps on NASA for IT issues but they can't even post documents such that their text can be copied and pasted. By Keith Cowing on May 5, 2014 10:37 AM. "After NASA this week announced it would delay its decision to clean up a long-contaminated Santa Susana lab site, neighbors began calling foul, claiming the tainted area is making them sick. Years of rocket engine testing has made roughly 450 acres of land -- located between Simi Valley and Canoga Park -- toxic. NASA also tested nuclear reactors in the area more than 50 years ago, and nearby residents say radiation has seeped from the site for years without them knowing." By Keith Cowing on March 18, 2014 12:06 PM. "One year after the surprise launch of Sputnik, the National Aeronautics and Space Administration (NASA) was founded. The U.S. space program was determined to be markedly different from the Soviets -- it would be an "open program" in which facts and data would flow freely between the agency and the public using an extensive public relations program, explain authors David Meerman Scott and Richard Jurek in Marketing the Moon: The Selling of the Apollo Lunar Program (public library). It was a radical proposition: NASA, not the military, would release information and information would be released before, not after, a mission -- an antithesis to the typical military strategy of confidentially. Tragedy would be reported alongside success." By Keith Cowing on March 4, 2014 12:45 PM. "Today, the IMF remains fully committed to its vision to help provide America with a viable, challenging and inspirational mission to Mars as a way to help accelerate our nation's plans for space exploration. However, given the extensive use of NASA assets that are already funded and under development, the strategy to pursue the mission opportunity in 2021 would clearly be the purview of the Congress, the Obama administration and NASA." Keith's note: Tito's op ed is, at a minimum, disingenuous. Actually it is outright deceptive. This is bait and switch, plain and simple. As if no one would notice. Tito seems to want everyone to think that his original wholly-private funded Falcon-9 based plan for 2017 is somehow just a different flavor of his new 2021 SLS/Orion-based, NASA-funded plan. Ho hum. All that needs to be done is change the computer graphics, write some op eds, update the calendar app on your smartphones, and off we go to Mars. He says that it's all "Inspirational" so who cares, right? Mr. Tito is asking NASA, Congress, and the White House to find billions of dollars on top of a budget that is going to be flat for the next few years, and launch the very first SLS/Orion mission on a trip to Mars with zero chance of return should anything go wrong. ANYTHING. Even the gutsy Apollo 8 had precursor shakeout flights of its launch vehicle and main spacecraft systems. No advisory committee has called for this mission. And unless these extra billions are found the ISS will need to be abandoned by the U.S. There is simply no money to do both under the budget that everyone in Washington seems to want NASA to have. 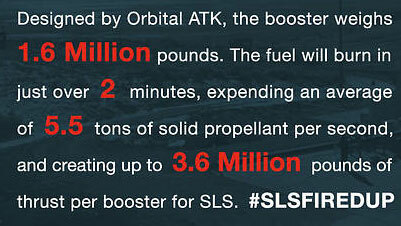 By going from the laudable notion of a privately-funded mission to one paid for by tax dollars Inspiration Mars is now simply an advertisement for more SLS funding. No "inspiration" there. Tito just wants us all to do it as part of his legacy and he wants the rest of us to foot the bill. Has he disclosed how much of his own millions he will commit? By Keith Cowing on March 3, 2014 12:32 PM. "3. 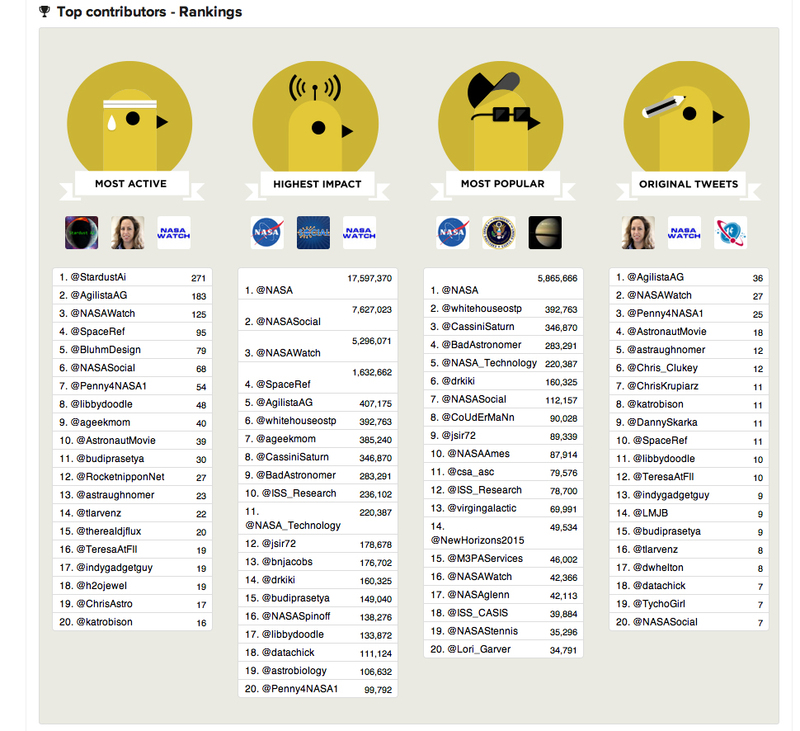 NASA's real-life gravity tweets "Gravity" was awarded a handful of Oscars, and no brand was a bigger cheerleader than NASA. The space agency spent the night cleverly tweeting out real facts and cool images relating to gravity using the hashtag #RealGravity -- totally on-brand for NASA. The tweets generated a good amount of engagement, like this tweet which got more than 8,100 retweets and more than 3,900 favorites." "While the film didn't win Best Picture, it did score seven statues--andNASA took the opportunity to show us once again why it rules social. The team clearly predicted at least one win for Cuaron's space odyssey, using the hashtag #RealGravity to remind the public once again that it does some pretty cool stuff out there in space with another set of impressive images." "Just in time for the Academy Awards, NASA's Goddard Space Flight Center has released a new photo set inspired by Gravity. The movie makes heavy use of computer-generated imagery, but NASA's photos show space as it really looks to the astronauts lucky enough to leave the earth's orbit. Using photos taken over the last several years, "NASA's Real-Life Images from Space" showcases astronauts, space shuttles, and some jaw-dropping views of earth. It should..."
"Nasa has just outdone Hollywood by releasing these mind-blowing real life 'Gravity' images revealing incredible scenes of Earth, astronauts and space shuttles." "- Social media favors Gravity. With the film picking up a good tally of awards especially for its cinematography which is literally out of this world. - To help out, Nasa joined in with #Gravity to share a selection of #RealGravity images taken from Space that are simply breathtaking, such as this one below." "NASA sure knows how to capture the endless beauty of real space. And on Sunday, the space agency decided to connect some of that epic reality with one of the films nominated for this year's Academy Awards. Hours before the ceremony, NASA tweeted out a couple of its #RealGravity images from life in space, as a way of helping the public connect its real work with the fictional images portrayed in the Oscar-nominated film, Gravity." By Keith Cowing on January 30, 2014 9:38 PM. 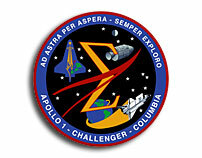 "NASA will pay will tribute to the crews of Apollo 1 and space shuttles Challenger and Columbia, as well as other NASA colleagues, during the agency's Day of Remembrance on Friday, Jan. 31. NASA's Day of Remembrance honors members of the NASA family who lost their lives while furthering the cause of exploration and discovery. NASA Administrator Charles Bolden and other agency senior officials will hold an observance and wreath-laying at Arlington National Cemetery Friday morning." By Keith Cowing on January 23, 2014 9:24 PM. 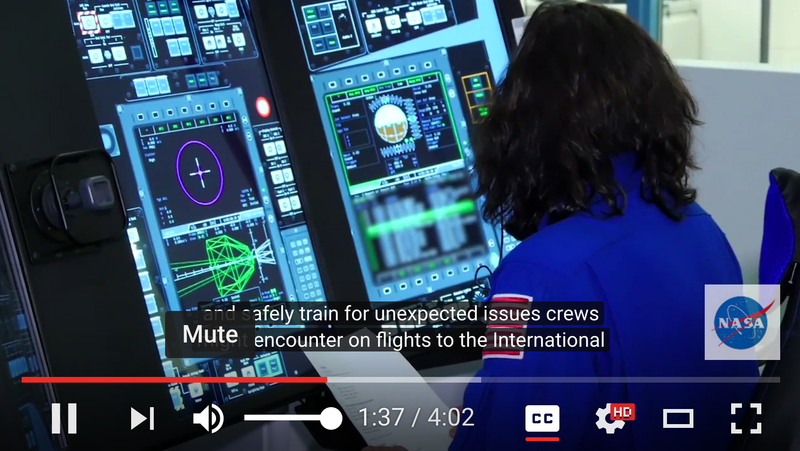 I think I could teach the NASA announcer to be a bit more dramatic in his annunciation of a the hold delay. By Keith Cowing on January 9, 2014 12:00 AM. "Similar to the OIG's conclusions 5 years ago, the OIG found that NASA failed to follow its internal policies or its agreement with the DOD when it decided to spend approximately $352 million to refurbish and test the SLS core stage on the B-2 test stand at Stennis. Moreover, the OIG found that NASA did not adequately support its decision given that refurbishing the B-2 stand will be more costly and take longer than two other possible options: an Air Force test stand at Edwards Air Force Base in California and a test stand at the Marshall Space Flight Center. In addition, although SLS Program managers spent considerable time and money studying the B-2 option, they gave the joint NASA-DOD testing board minimal time to assess the cost, schedule, and risks of the other test stand options." "NASA will complete a $350 million tower to test rocket engines for a program that was canceled in 2010. The A-3 test stand will be finished early this year at Stennis Space Center in Mississippi. Its funding survived thanks to Senator Roger Wicker, a Republican from that state who supported the test stand's completion even though NASA doesn't need it." "Congress ordered NASA to complete a $350 million rocket-testing structure that may never be used, Bloomberg News reports. The 300-foot tower at the Stennis Space Center in Mississippi was designed to test how the Ares I and Ares V engines would work at high altitudes, for rockets under development that would send people into space and up to the moon. 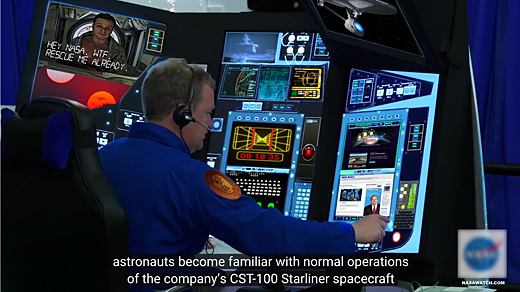 But the project was scrapped after the Constellation program spearheaded by former President George W. Bush was cancelled in 2010." 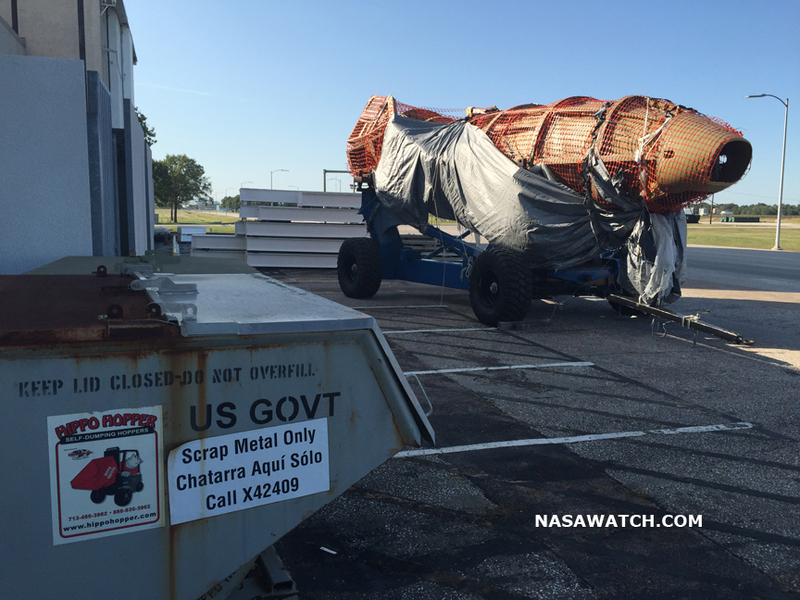 "Federal watchdogs today criticized NASA for spending $352 million to refurbish a Mississippi test stand for critical upcoming tests on the Space Launch System when cheaper test stands were available faster in Huntsville and California. NASA responded by admitting it didn't follow its own rules and agreements, but "is confident it made the right decision." By Keith Cowing on November 10, 2013 8:00 PM. "Close to 01:00 CET on Monday 11 November, ESA's GOCE satellite reentered Earth's atmosphere on a descending orbit pass that extended across Siberia, the western Pacific Ocean, the eastern Indian Ocean and Antarctica. As expected, the satellite disintegrated in the high atmosphere and no damage to property has been reported." By Marc Boucher on August 19, 2013 8:52 AM. "Purely by coincidence, if all goes according to plan September 15 will be a big day for a venerable Russian rocket recovering from a recent spectacular failure as well as a new U.S. rocket that is powered by Russian engines. A lot is at stake for both. ... A successful Proton launch could help restore confidence in the Russian space launch industry. A failure would add to the gloom and potentially drive commercial customers to competitors like Ariane, Sea Launch, and SpaceX. Quite separately, the U.S. company Orbital Sciences Corporation is targeting September 15 for the first launch of its new Antares rocket to the International Space Station (ISS). Antares will launch Orbital's Cygnus cargo spacecraft to the ISS as part of NASA's commercial cargo program." By Marc Boucher on August 19, 2013 8:32 AM. "India's attempt at launching the GSLV-D5 rocket today with the GSAT-14 satellite was postponed due to a leak found in the second stage. The mission is a critical one for India as it is their second attempt at launching a rocket with an indigenous cryogenic engine. The first attempt failed." By Marc Boucher on August 12, 2013 8:56 AM. "This comic spoofs the way that astronomical events are often reported in the mass media -- events are often tagged with undeserved superlatives or described as being more dramatic than they actually are. In some cases, outright misinformation is spread. This phenomenon occurs in part the result of over-eager scientists, and in part because of journalists misunderstanding the subject." Will the Air Force use the Orbiter Processing Facilities at KSC? By Marc Boucher on August 8, 2013 9:46 AM. "Space Florida on Wednesday advanced plans to renovate two former shuttle hangars that might eventually house a secretive military space plane program. The agency's board approved spending up to $4 million more to overhaul Orbiter Processing Facilities 1 and 2 at Kennedy Space Center, on top of $5 million committed last year from funds provided by the state Department of Transportation. As before, the future tenant was not identified, but is believed to be the Air Force's X-37B Orbital Test Vehicle, a reusable unmanned system that resembles a small space shuttle. Previously, the Air Force has confirmed it is studying consolidation of X-37B operations at Kennedy or the Cape to save money." By Keith Cowing on August 7, 2013 7:55 PM. "In some ways, NASA's tentacular publicity efforts are unique to the NASA -- and to the world -- of 2013. All the truisms that the Internet has brought to the worlds of advertising and publicity -- direct user engagement! authenticity! -- have found their way, inevitably, to the space agency. NASA's contract with Life ended in 1970, 11 years after it had begun. It lives on, though, in some sense, in every story we tell ourselves about space and humans' place in it. It lives on in every tweet and Tumblr post and Facebook update and email blast, in every attempt to capture and then maintain our attention and our love. It lives on in the fact that, when we talk, still, with wonder about humans' success in putting a man on the moon, we're less inspired by the moon itself, and much more inspired by the man." By Marc Boucher on August 7, 2013 1:07 PM. "It turns out that Doom co-creator John Carmack is more than just a virtual reality fanatic -- he's joining the company that's leading the most recent VR revolution, today announcing that he's taking the reins as Chief Technology Officer at Oculus Rift. In an email from the folks at Oculus, Carmack was confirmed to be out at the company he helped found -- id Software -- and joining Oculus full-time as CTO. He will apparently still serve some role at id, as id's parent company told Engadget, "The technical leadership he provides for games in development at id Software is unaffected." We've asked both Oculus and id's parent company for clarification." Marc's note: Carmack tweeted this: "My time division is now Oculus over Id over Armadillo. Busy busy busy!" indicating exactly where his priorities are. Unfortunately with his new gig as CTO of Oculus Rift it would appear Armadillo Aerospace is truly out of business until such a time as some funding comes it way. New Moon Rising is the previous category. Personnel News is the next category.